Why do we need punctuation marks? Needless to say, a piece of writing without any punctuation is difficult to understand. In other words, punctuation can show the reader what the author meant by creating his text. In French, English, Russian or in any other language we use punctuation to add clarity and readability to our writing in order to separate groups of words from each other and make our reading easier. 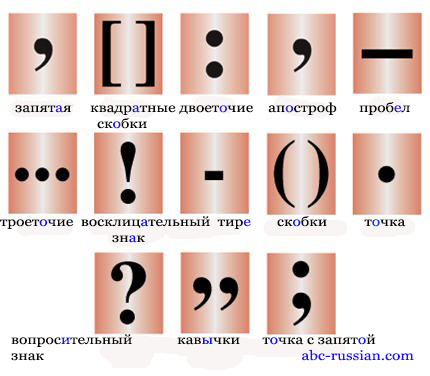 Below is a list of the different symbols used for punctuation.